Kuldeep Yadav has had a great start to his ODI career and is the number one spinner in the 50-over format for India now. Some pundits have already labelled him as an ODI specialist – a label Yadav may not necessarily be too happy with. There was a lot of talk and murmur about his shortcomings as a Test bowler after his performance at Lord’s. Yes, sure, he did not pick a wicket at cricket's Mecca and was a touch expensive but he bowled just nine overs. And was judged and dismissed. Yadav has played four more Tests (including the current Test against West Indies in Hyderabad). In his debut against Australia at Dharamsala in March last year, it was him who got rid of Warner and broke a 134-run second-wicket stand between the Australian southpaw and Smith. He then wreaked havoc on the Australian middle and lower order getting rid of Handscomb, Maxwell and Cummins. Four wickets in first innings in his debut Test! 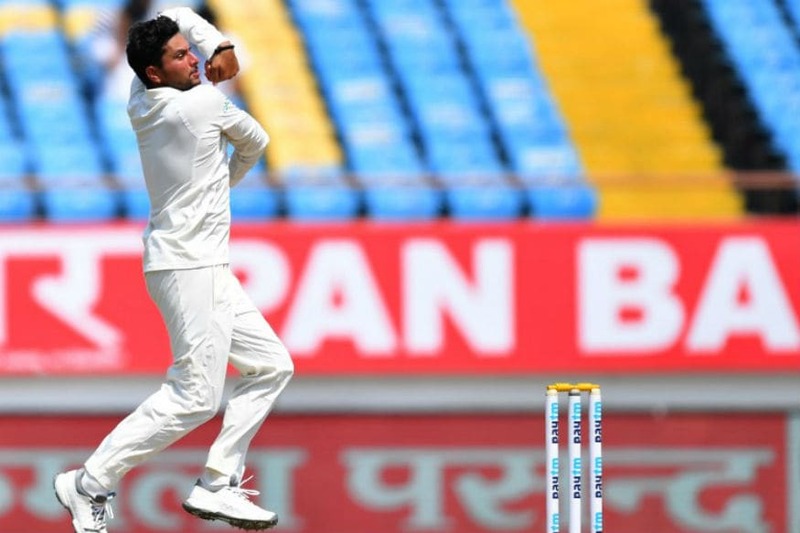 He again picked four in the first innings of his second Test – against Sri Lanka in Kandy and the crucial wicket of Chandimal in the second innings. He accounted for six West Indies batsmen in the series opener in Rajkot including a fifer in the second. 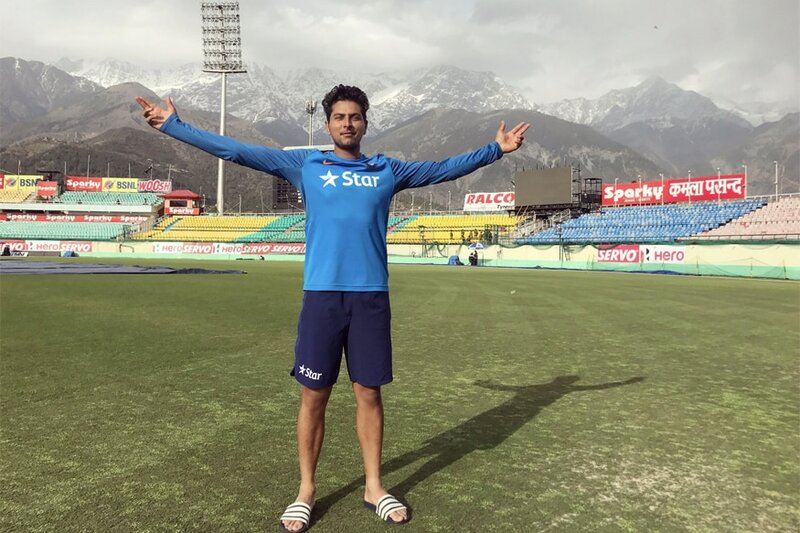 Kuldeep picked three wickets on Friday – the first day of the second Test against the West Indies in Hyderabad. He was introduced ahead of Jadeja in the 13th over. He bowled in tandem with Ashwin keeping it tight and mixing his line and length. He got Hope to edge a slider playing for the turn in his very next over – the ball landed just short of Rahane at slip. He bowled slower when he gave the ball flight, slipped in the googly, bowled the slider and sometimes bowled it fuller and flatter. He persevered and kept asking questions even though the West Indies batsmen showed more resistance than in Rajkot. Finally his consistency paid off. Brathwaite survived a scare on the fourth ball of Yadav’s sixth over – playing for the turn to a drifter – a thick edge falling short of Rahane at slip again. But the wily left-arm wrist spinner got his man off the very next delivery – an absolute ripper! He gave the ball a lot of side spin and revolutions making it land on the off-stump and turning it in enough to beat the bat. Brathwaite was plumb leg before wicket. He then set up Ambris with his box of tricks. After tormenting him with a googly and almost getting him caught at square leg attempting a sweep, he enticed him to go over the top in his next over. Ambris could not resist the temptation and dragged an inside edge to the mid-on boundary. He again tossed one outside middle/off luring Ambris to go over the top again. It was a googly this time. Ambris closed the face and got a leading edge to Jadeja at cover. West Indies were reduced to 113 for 5. Yadav bowled 26 overs on the first day. He also bowled 26 deliveries which beat the batsmen/got an edge/ made them uncomfortable/got a wicket – this means that on an average he bowled one such delivery per over. A majority of his deliveries (to the right-handers) were pitched between the 5th stump and the middle stump around the 5 meter-4 meter mark. Interestingly, all his deliveries varied between 48-54 miles per hour. A Hawk-eye analysis of the wagon wheel shows that Yadav mostly bowled a fullish length. Most of the scoring shots against him were in front of square as he hardly pitched it short. Yadav has already picked 18 wickets in five Tests at an average of 23.55 and strike rate of 39. Three 4+ in an innings already in four Tests. And a potential fourth one on Saturday. Yadav has arrived and is here to stay.